If you are trying to find the perfect wedding hairstyle near Marlton , you might want to consider wearing it down. Brides with long, beautiful hair can wear it down to create their perfect bridal look. If you do wear your hair down, you should ask the stylist at the hair salon to add some special elements that will give you a wedding-worthy look. However you enhance your hair, it should work with your dress and the location of your wedding. Consider adding flowers, a veil, or pinning part of the hair back to get the best effect. Check out this video for more ideas on how to wear your wedding down for your big day. You do not have to go for an elaborate hairstyle to look beautiful on your wedding day. If you want to keep your wedding hair simple, you should ask your hairstylist to give you a sleek, chic ponytail. Whether you want it high and straight or low with some loose, romantic curls, the right kind of ponytail can complement any wedding dress. If you want to add more romance to your wedding hair, you should consider asking your hairstylist for a romantic chignon. With a few perfectly placed curls, this stylish bun helps you look and feel your best on your big day. Long, loose waves are a beautiful way to enhance your dress. You do not have to have an up-do to create a stunning bridal aesthetic. If you prefer to wear your hair down, you should ask the stylist at the hair salon near Marlton to create some long, loose waves that will add a whimsical feeling to your overall wedding look. Ask your hairstylist to gather your hair together into a stylish ballerina bun at the top of your head for a classic, timeless look. A ballerina bun is the perfect complement to a veil or a headpiece for your wedding. You can even top it off with a flower or a unique braid to put more of your personality into your look. This classic look works for brides with long or short hair. Whether you want to enhance the hairstyle with some curls, place a beautiful flower at the crown of your head, or create the perfect place from which to hang your veil, this style is perfect for any kind of wedding. The foundation of Lotus Salon is creating personalized looks for every client. We do not believe in mass producing our cuts and colors or creating a level system for our hairstylists. Since we opened in 2011, we have hired employees with advanced education and skills to ensure that our clients get the best services. 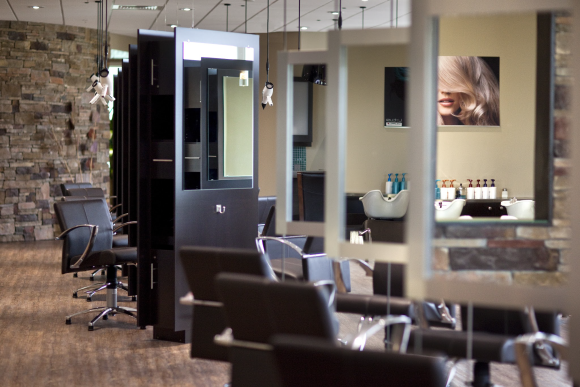 Tara Bernardini and Nicholas Clark are the owners of this high-end hair salon and have more than thirty combined years of experience in the industry. With their creative ideas and skillset, they have built a team of top hairstylists that can offer clients the best haircuts and colors in the area.